When you captivate your audience, you build deeper connections with your community. You have the power to communicate your story. Carousel delivers it to your audience. See how easy it is. We believe the more people that can help contribute content to a digital signage system the better! That’s why we’ve designed Carousel so that everyone can use it, not just graphic designers. We know that digital signage systems with stale content get ignored. 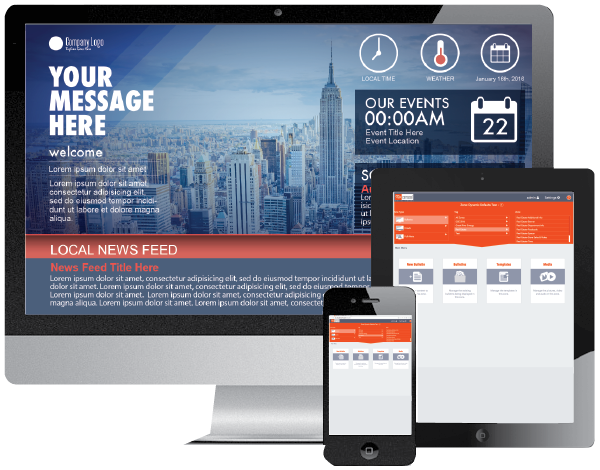 We give you the tools to make sure your digital signage content is always up to date and relevant for your audience. We value long-term sustainability of digital signage networks. Carousel focuses on administration, up-time and total cost of ownership so you get the most value out of your signage network. We help you get the most out of your digital signage from day one. Start with a beautifully designed channel layout for your signage that looks and feels just like you, but with none of the hassle of doing it yourself. Then get your staff trained quickly by our top-notch training team. We will be at NAB with our sister division of Tightrope Media Systems, Cablecast Community Media! They have an awesome suite right next to the convention center in the Renaissance Hotel. Come over and take a break from the showfloor!